Climate change is impacting our region, here in upstate New York, as well as our country and the world around us. With widespread agreement among climate scientists that humans are causing the acceleration of climate change, it is more important than ever to understand those impacts and identify ways we can slow it down as well as adapt to its impacts. Studies referenced are highlighted so you can check out that information yourself. Climate change is predicted to cause thousands of species to go extinct within the next 80 years if left unchecked. In addition, significant loss of bird-life is occurring (see Scores of bird species could disappear due to climate change…), and expected to increase, given extreme weather and the lack of synchronization between fledging (hatching), migrations, and available food sources. What we once considered “freak” storms are now becoming more common and are causing birds stress as they aren’t designed for extreme snow, rain, heat or droughts. Climate change is causing increased episodes of extreme weather throughout the world—and the Northeast and Tug Hill is no exception. Cornell University, as well as other agricultural research institutions like University of Wisconsin and the University of Massachusetts, are documenting the impacts of climate change as the level of CO2 rises. This includes increased fungus and airborne pests, early warm/hot weather followed by cold weather in the springs cause plants to bloom too soon and then lose their blossoms causing loss of fruit crops, long periods of drought or prolonged wet weather cause stress on dairy and productions of crops, and hail and heavy rains damage crops. Farming was already challenging; climate change is making it even more difficult. 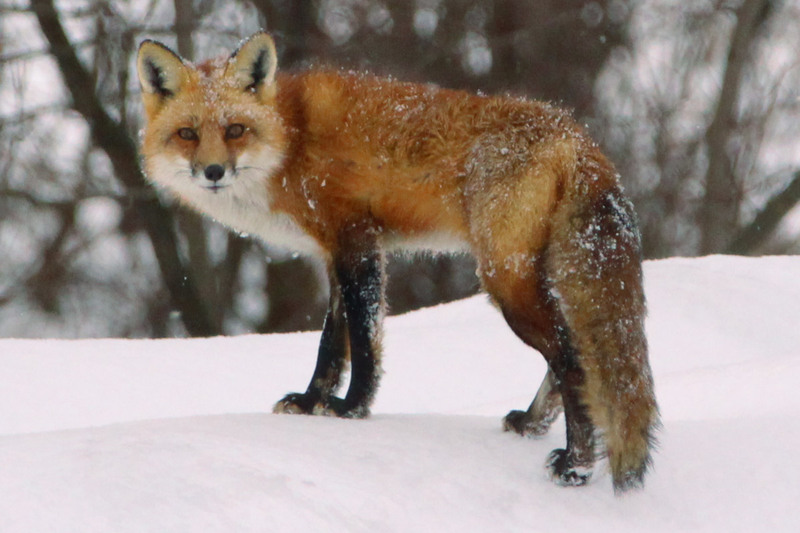 The wildlife in the North Country are not able to escape the impact of climate change as it increases in severity. Moose, for example, are being ravaged by ticks throughout the Northeast. Globally, as many as 60% of the world’s plants and 50% of animals could cease to exist due to climate change, based upon a recent study by the World Wildlife Fund. Butterflies and insects important for pollination are finding their habitats changing in response to increased climate change. The Monarch Butterfly, for example, is vulnerable to milkweed becoming poisonous to them due to it’s response to increased CO2. 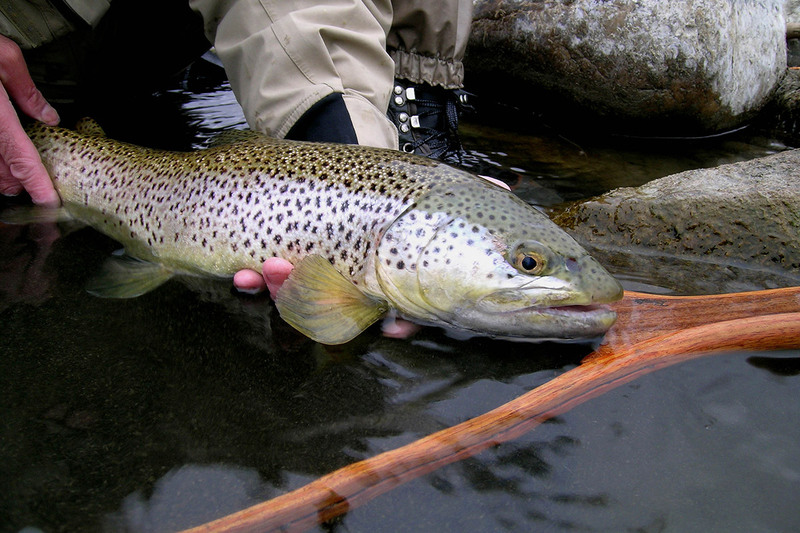 Increasing temperatures, as well as unpredictable and extreme precipitation, is having an impact on fish and other aquatic life in the country and well as the northeast. The Great Lakes are facing increased episodes of warming temperatures which cause depletion of oxygen, and fish die-off; streams are more susceptible to high levels or prolonged erosion from heavy rainfalls that smother fish eggs or clog their gills; warmer water in streams also impacts the oxygen levels within the streams and the life it can support. The northeast’s forests are on track to lose our iconic woodland species such as the sugar maple and beech, as well as spruce-fir woodlands in the Adirondack areas. 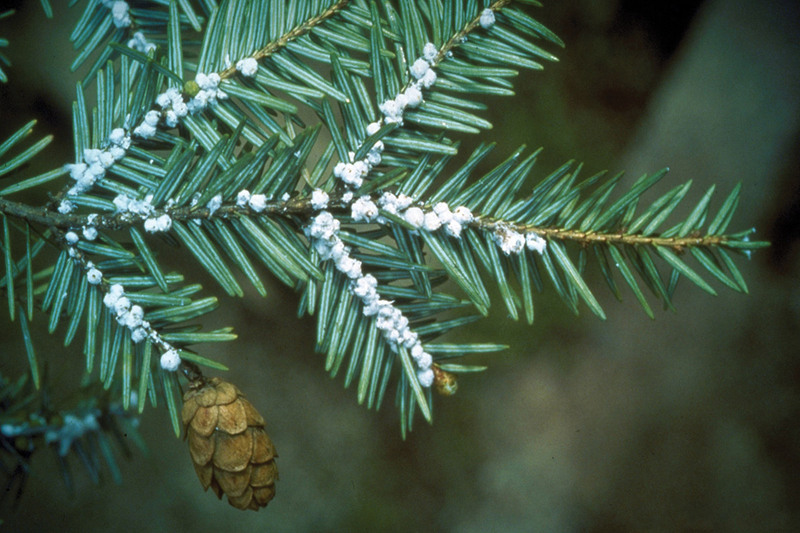 Hemlocks, ash, and even oaks are facing pests and diseases that are expanding due to both warmer overall temperatures and extreme weather that can blow/relocate/transport spores of fugus or pests such as the emerald ash borer or the hemlock woolly adelgid. If climate change continues on the current projection of increased CO2, the northern forest we know will change over to more southern species. Early springs, or erratic springs with frost, also appear to be impacting natural ecosystems. 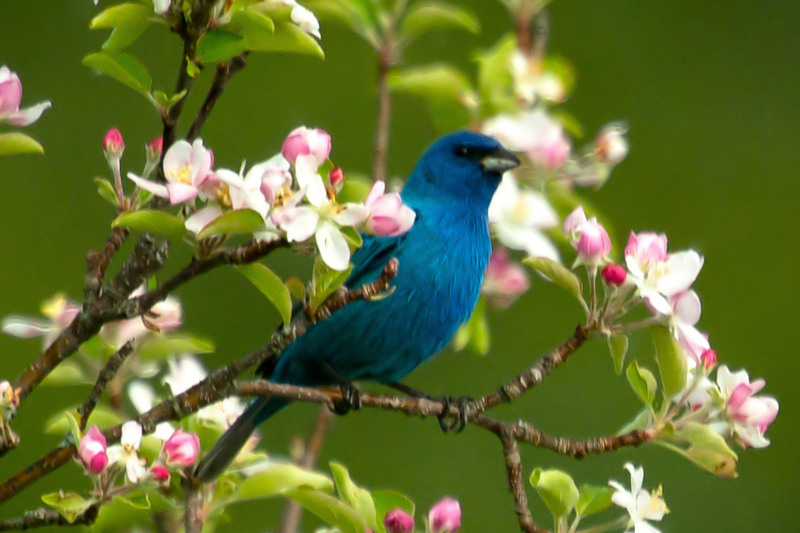 Research by Dartmouth College in the journal of Global Change Biology state that “… climate change may constrain reproduction of early-flowering plants mostly through the direct impacts of extreme environmental conditions rather than disrupted plant-pollinator interactions." 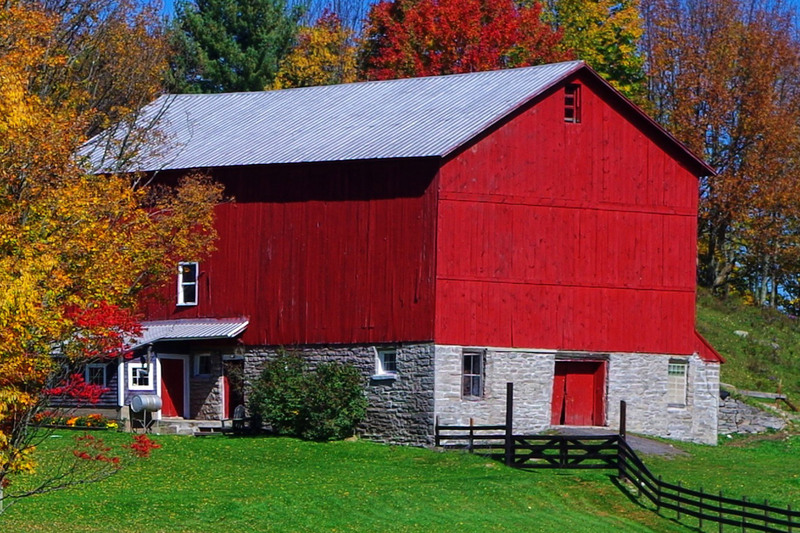 “Tree species are expected to migrate north as temperatures increase causing important species such as sugar maple and paper birch to dwindle, eventually disappearing from New York permanently. With increased temperatures and changes in precipitation, New York and other states in the Northeast are projected to experience a 10-20% increase in the risk of forest fires. The rate of invasive species is on the rise—displacing the plants and animals that historically have evolved in the northern part of the United States, including northern New York. 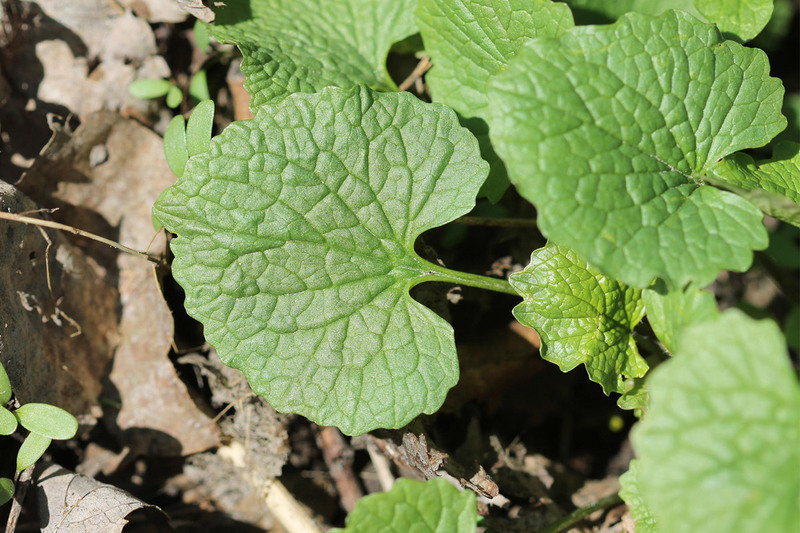 Plants that conservation groups have long tried to control, like garlic mustard, purple loosestrife, Oriental bittersweet, and Japanese barberry are expanding their territories—impacting the native plants and animals there. You may not know it, but if your allergies seem to be getting worse, it might be part of the shifting of bloom times. Climate change is lengthening the pollen season of common allergens such as ragweed. Health impacts of climate change vary depending on where you live, the exposure you have to environmental conditions (like extreme weather), and your underlying health. Sometimes you can experience the impact of climate change with increasing intensity of poison ivy due to higher levels of CO2 in the air. Other times, it could be the number of high-heat days and the impacts of extreme heat (over 90 degrees), flooding, or unusually cold-snaps where the jet stream is “stuck” causing the weather to stay in a holding pattern for longer periods of time. Research following these trends predicts that if left unchecked, climate change may result in a typical summer in upstate New York with temperatures and humidity more like present-day summer in South Carolina within the next 80 years, with most of the warming expected to occur in northern New York State. In addition, warmer weather overall is extending the range of ticks carrying Lyme and other serious diseases. Warming waters now are susceptible to toxic algae blooms and harboring pathogens. Climate change impacts on our communities are increasingly described in loss of life and economic terms. 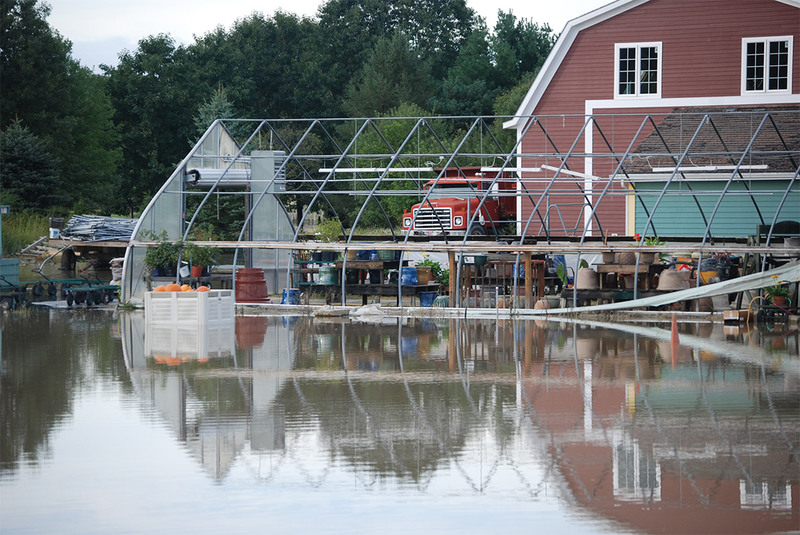 Extreme weather damage, like that of Hurricanes Irene and Sandy, have cost billions. Flooding along Lake Ontario is increasing; periods of heavy rain are causing rivers like the Black River and West Canada Creek to breach and flood communities. The resulting damage to roads, houses, businesses, and community lands (parks, trails, recreational areas) is rising. For our agricultural communities, increased pests, heat-stress, drought, and out-of-sync pollination/bloom/freezes are making farming even more difficult (see impacts on agriculture, above). High heat days put more stress on power infrastructure for air conditioning and droughts increase change of fire, water shortages. Insurance companies are now recognizing the need to factor in costs—and not just to coastal communities. 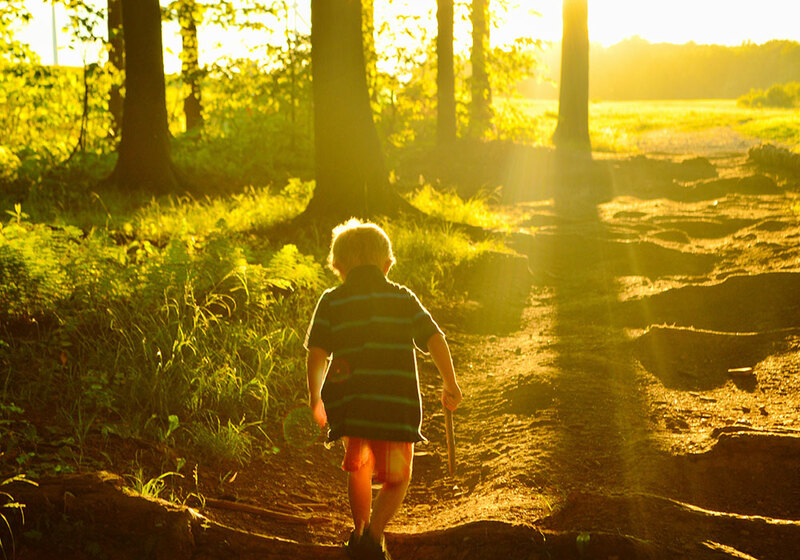 Wondering about how other land trusts working on climate change?